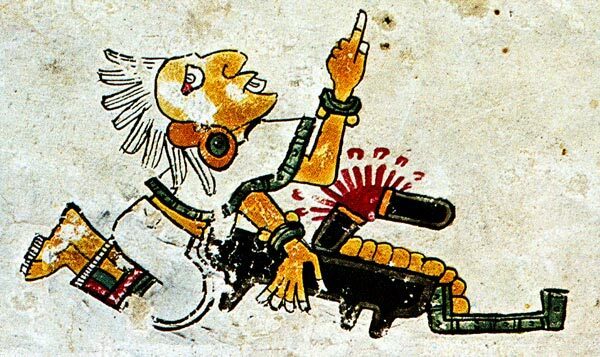 After birth, an Aztec girl’s umbilical cord was always buried under the metate, in the heart of the home. 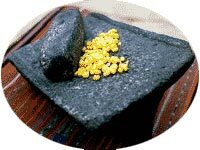 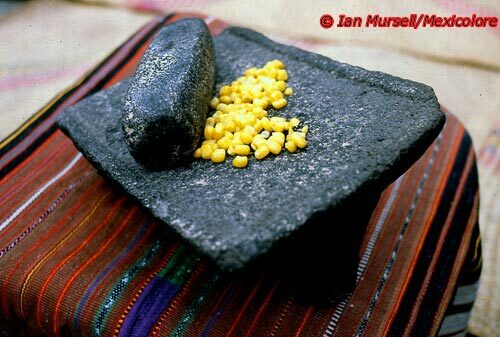 Metates are made of porous volcanic stone. 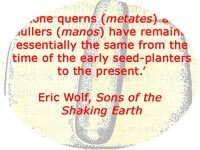 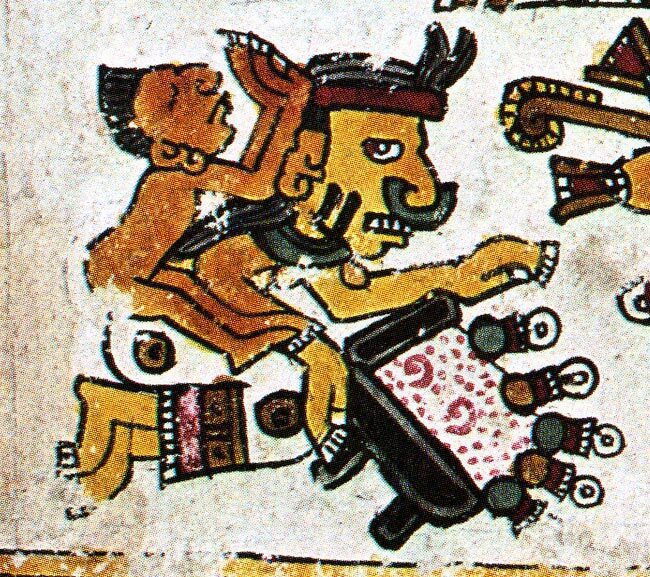 There are many images of them in pre-Hispanic Mexican codices. 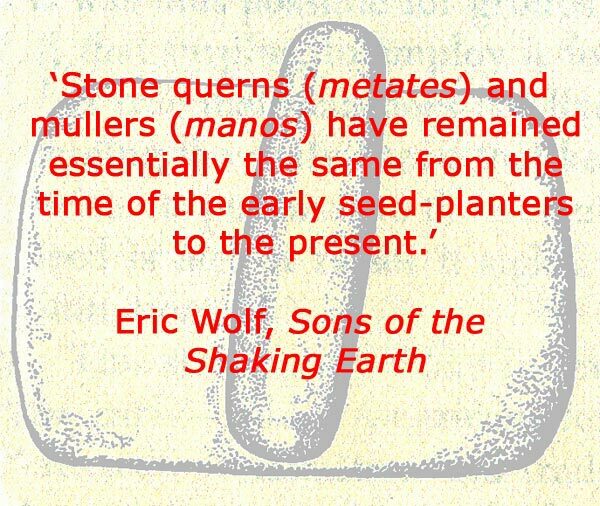 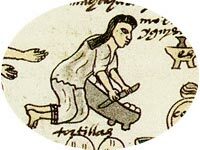 Metates have always been made with 3 small legs, to support the stone at the right angle on the ground, at an incline, as you can see (below) in the Codex Mendoza (now in Oxford). 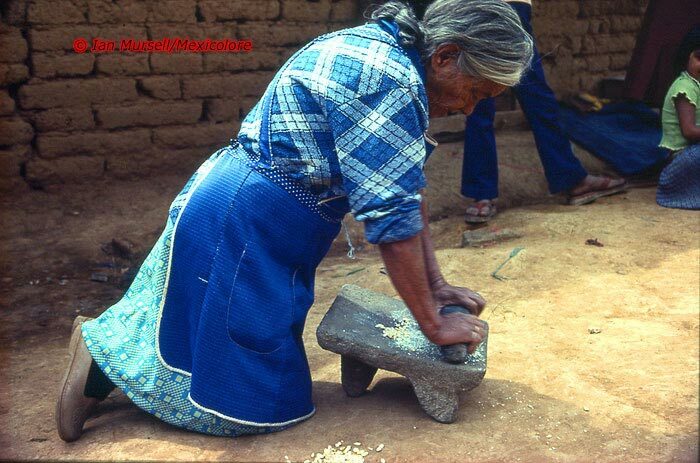 Traditionally women kneel on the ground when grinding on and cleaning the metate. 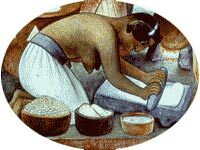 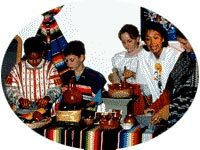 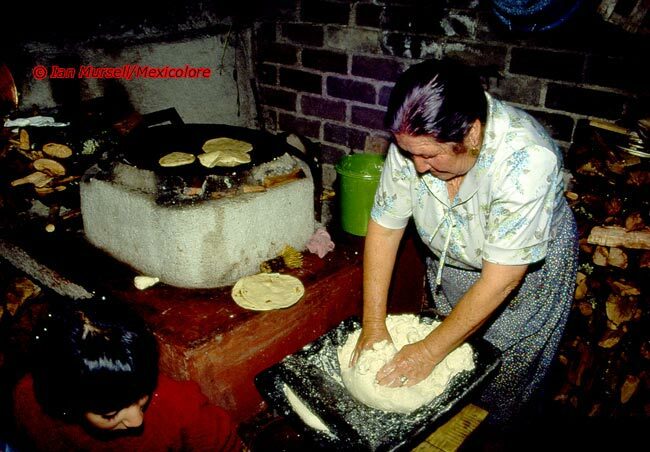 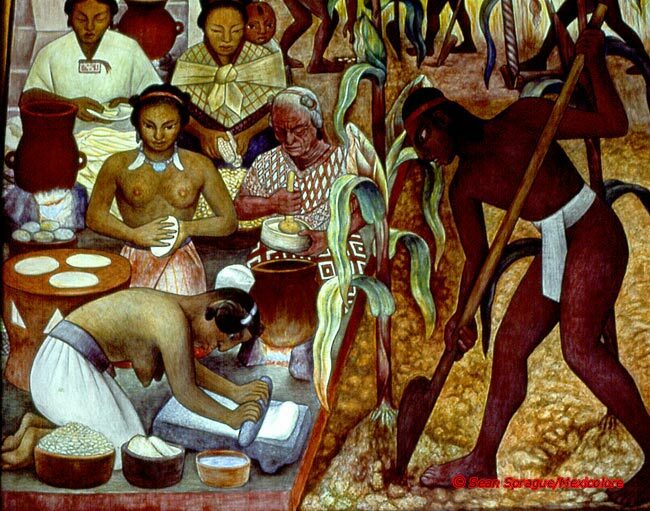 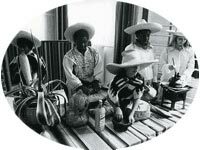 One of the first sounds to be heard in Aztec houses, often before dawn, was what Jacques Soustelle called the ‘dull rumble’ of the rolling pin (mano in Mexican Spanish, metlapil or ‘son of metate’ in Náhuatl) on the stone, as the mother prepared maize dough for tortillas. 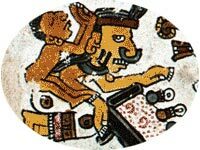 Ancient metates have been found in archaeological sites dating back 6 or 7 thousand years, from Central America to the USA (for just one example, click on the Indian History site below, and scroll down to 6,500 BCE). 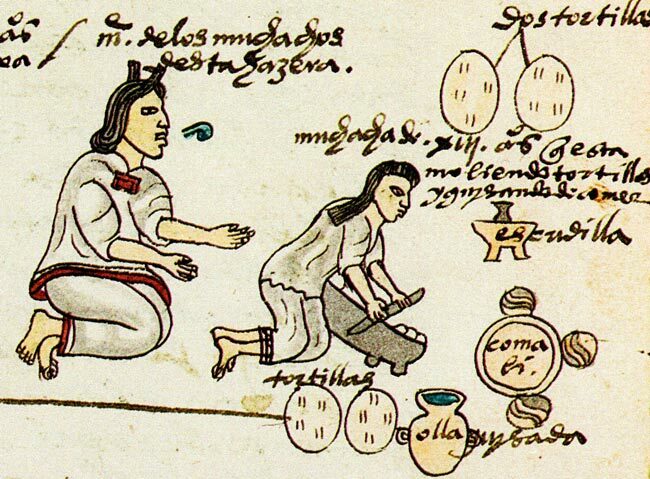 In the Codex Borgia, drawings of metates (right and above) relate to sacred scenes and calendar days; here you can see the rolling pin is broken symbolically and the woman is pointing to the heavens - probably indicating a fateful aspect of the deity associated with that particular day. 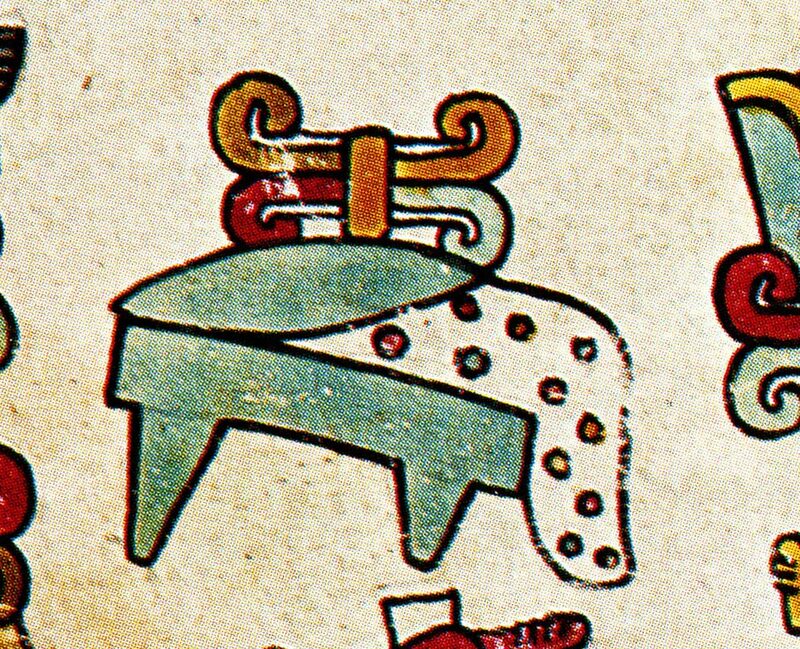 In this case the deity (not shown) is Xochiquetzal (Flower-Feather). 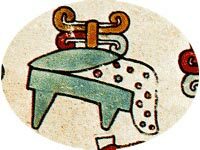 We know from the Florentine Codex (Book 5) that if a metate broke in action it was ‘an omen of evil’ that would bring death to the unfortunate grinder or others in her household. 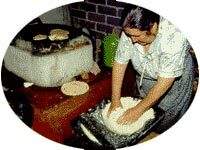 Graciela’s family metate has been handled by many hundreds of children throughout England! 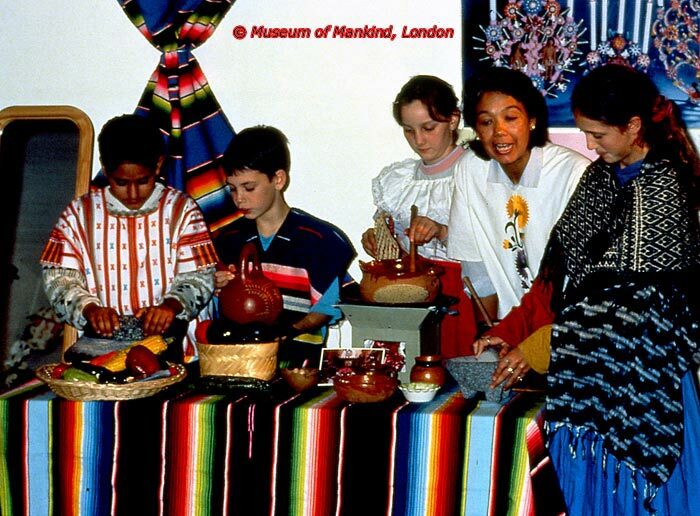 On the left: part of a workshop at the Museum of Mankind, London, in the early 1990s. 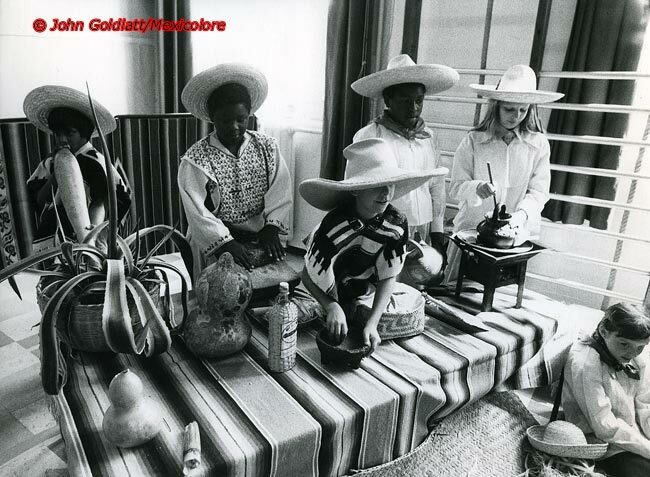 On the right: Wyvil Primary School, London, early 1980s. 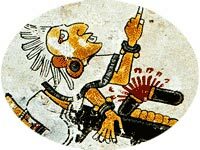 Your user agent does not support the HTML5 Video element. 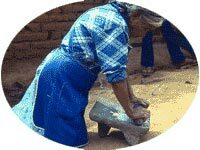 Click to hear the sound of a metate in action!